Jon managed to sit down with Andrew McMahon of Jack's Mannequin, prior to their sold out show at London's Koko venue. Andrew spoke to Alter The Press! about the upcoming 'Dear Jack' documentary, the reason why it took the band so long to get to play the UK, the possibility of a Something Corporate reunion, working on new material, playing this year's Reading/Leeds Festival, his upcoming US solo tour and more. Alter The Press: You're back in the UK for the second time with Jack's Mannequin. How has this trip been so far? Andrew McMahon: It's been incredible. We were a little nervous coming out as it's the first time we've been in a van for a long time. It's the first time we've really done this pretty much D.I.Y but, to be honest, it's been my favorite tour that I've done, even better than the Something Corporate stuff from the early days. We are having a blast. ATP: How was it playing this year’s Reading/Leeds Festival? AM: Reading was tough as it was the first night for us playing for a few weeks and a lot of our rental gear was malfunctioning but the crowd was amazing. It’s one of those things where the crowd pulls you through. Leeds was perfect, everything lined up perfect and we had pretty much sussed everything out. They were both fun, but Leeds was my favorite of the two. ATP: Why has it taken Jack's Mannequin this long to play the UK? AM: I've wanted to come over for a long time. I think it took a little while to convince people it was something worth doing but when we got to releasing 'The Glass Passenger', I pretty much insisted on it. We ended up coming out to the UK for the first run and the shows sold out which showed that we had fans over here. It's really because the kids are showing up. Working with 'Everything In Transit' (bands debut album) was a tricky point in my life considering having gotten sick so it really became a game of where to go and when to go. Frankly, I wasn't well enough to work that record probably until a year later, when it came out, we had so much work to do in the US and just introducing people to Jack's Mannequin. We had to get quite choosey where we would travel to internationally, obviously the expense of coming across is high, it’s difficult to convince the record company to spend that kind of money when they don't know if it's going to add up to anything. Now that the door is open with the response, and demand being so high, I imagine we will be coming over pretty regularly for as long as we are together. ATP: The 'Dear Jack: The Journey Of Andrew McMahon' documentary is coming out soon, what can you tell us about it? AM: It's finally done and the final edit has been approved. We are now just doing the credits. The story is; I had the video camera that the label bought me when I was making 'Everything In Transit' and it was in this period of time where my girlfriend and I had been separated and all of these things. So I started journaling pretty much regularly throughout my day, and increasingly during the making of the album, on this little hand held camera, which I would pull out if I was having a bad day and avidly talk to the camera. I had this sort of practice, of using this as a secondary art tool, documenting my life at that point. When I got sick, I was in this habit, so I kept this camera with me at the hospital and through the process of recovering and all of those things. A couple of good friends of mine knew that the footage existed and frankly, I have tapes I've never even looked at that I just have thrown in a drawer but, they were like: 'Is there a way you would be comfortable with us seeing some and seeing if there is a story to be told?' I said yes, and here we are three years later with a movie. It took this long for me even to be able to watch it, be objective and be detached from the events themselves but I think we'll find that we are sitting on a well made movie. ATP: Is it going to be just a DVD release? AM: We'll do a handful of theatrical releases in the US like premieres in New York, Chicago, Los Angeles but it is my understanding that the international label has just decided to release it as well. As regards to how it's going to be released territory-to-territory, I'm not sure yet but you will be able to order it from DearJack.com and JacksMannequin.com or my charity, Dear Jack. ATP: Have you thought about submitting it to film festivals? AM: In the early edits of the movie, we started throwing out some feelers to film festivals and we got a couple that came back, the timing seemed strange and again, it was so hard for me to be objective about the film at that point, I wasn't sure that I even liked it. Now, as we are in this place that we really love the movie, we started considering the idea, but do we want to put everything on hold for this chapter of my life; that I am ready to have closed? I think if we went the festival circuit, it would be another year of my life that would be committed to discussing the cancer and frankly, I am ready to move on from it. AM: The Leukemia and Lymphoma society is the most influential organization that deals with blood cancer. When they saw I started a charity, they knew what we were up to and reached out to us saying they were this amazing organization and donate 80-90 cents on the dollar to research, so we wanted to get involved. We built a team and every year we raise more money. Last year we raised over $100,000 and this year we are going to raise that again. It's really helpful for us, the charity but I am just one guy. It's hard for me to be the lone dude out there saying 'Look at me! Give me money!' but they really helped us facilitate the Dear Jack society as well. AM: There was a standing relationship with Maverick Records, who originally signed Jack's Mannequin, and they were in charge with putting out the soundtrack. Mark Schwarn (Creator of One Tree Hill) had heard my story and they were doing this episode that was based around them doing this cancer benefit for one of the characters on the show. They thought it would be appropriate that I would be the guy to be part of that episode. It's crazy actually because I've just learnt that's how a lot of people in the UK found out about Jack's Mannequin, through One Tree Hill. They use music in their show in a way not every TV show does so, in a way, it's been a great resource for us. ATP: Which are you're new favorite records out at the moment? AM: Regina Spektor - 'Far'. I love Regina. The new album, it's genius and mind blowing. It's been huge for me. I get into these modes where I find an album and I kill it till it's dead! It's the one I'm loving at the moment. ATP: What can fans expect from your upcoming US solo tour? AM: I'm not sure yet. I'm going to go home and figure it out but my guess it's going to be more of a catalogue tour. I'll probably play more from the Something Corporate catalogue then I have in the past five years because it'll be solo. My guitar player Bob, in Jack's Mannequin, has been discussing if he'll come out and play acoustics with harmonies. I'm going to try and keep it really loose. I think I am going to learn as many of my songs that I've written over the years kind of in a very rudimentary way. I might just do it and say 'This is the batch of songs I'm going to play tonight' but I think it'll be a different show each night. It'll be a hang, and a chance to get on that level, from playing in 20,000 seat amphitheaters for the last six months, to be able to go and play 200 seat theaters. It's going be very cool. ATP: Have you been working on any new Jack's Mannequin material? AM: Yes, it's early to say what it is and how it will be presented. I have been writing and started in the studio mocking up these ideas in the last months or two. I'm close to being at that mode and I'm renting a house down by the water. For me, I had a hard time writing 'The Glass Passenger,' I think a lot of that was I wasn't next to my muse, which is the Pacific Ocean. When I head home, I'm going to head to Laguna, have my old piano delivered to this rental house, try out a bunch of songs and get ready for record three. ATP: Any plans for a Something Corporate reunion show? AM: It's something we are talking about. It'll probably be something we put our toe in the water for in the US and see how it goes. I've been talking to the guys and trying to find that right moment. We're sort of coming up to our 10 year anniversary, of when we put out our first set of demos, playing professionally and I know we don't want to miss that for our fans, and for us. We are still really close friends, I think we are just trying to sort out our schedules, but it's definitely possible and something that is in the works. ATP: Anything you would like to add in closing? 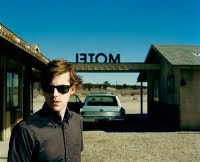 AM: Keep up on JacksMannequin.com, it's where I write direct to everybody and there is always new stuff coming through. If you get a chance, check out the 'Dear Jack' movie, my charity, where we are doing everything we can to raise money for cancer cures, so if you want to get involved, we'd love to have you.